Unfortunately, their potentially unethical origins far from match our values. Breathtakingly beautiful and over a billion years old, it’s no wonder diamonds symbolise everlasting love. Plus they are incredibly hardwearing and complement any outfit. Unfortunately, their potentially unethical origins far from match our values. Notorious for funding ferocious civil wars in Africa, in the past two decades ‘blood’ or ‘conflict’ diamonds have led to the deaths of around 3.7 million people and shocking human rights abuses. While international action has been taken, shortcomings in regulation means diamonds still associated with violence, exploitation and environmental devastation can make it onto our wedding fingers. Thankfully ethical solutions do exist though and with guidance you can ensure your engagement ring expresses love in every way. Diamonds from Canada’s Northwest Territories (NWT), just below the Arctic Circle, are some of the world’s most traceable and responsibly sourced. While slightly more expensive, not only are they conflict-free but government regulations enforce strict environmental and labour standards with respect for local businesses and aboriginal communities. Cutting and polishing mainly takes place abroad since the Canadian diamond manufacturing industry is still very small but many diamonds can be traced right back to the original mine through the 5th C – certification. 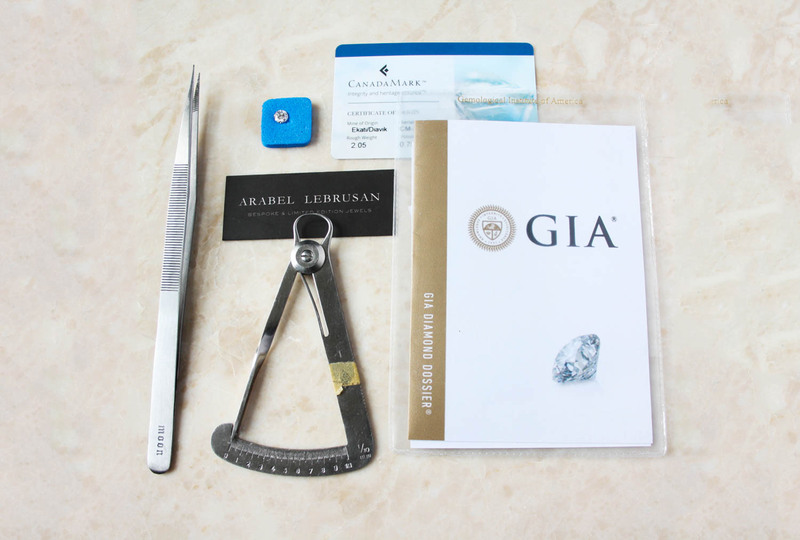 CanadaMark, which we use for diamonds 0.3ct and above, imposes stringent and independent checks throughout its supply chain. Regarded as the “world’s largest diamond resource” by the GIA, recycled diamonds are eco-friendly and cheaper. Although usually untraceable, they won’t contribute to further, negative mining practices or strain on finite diamond reserves. 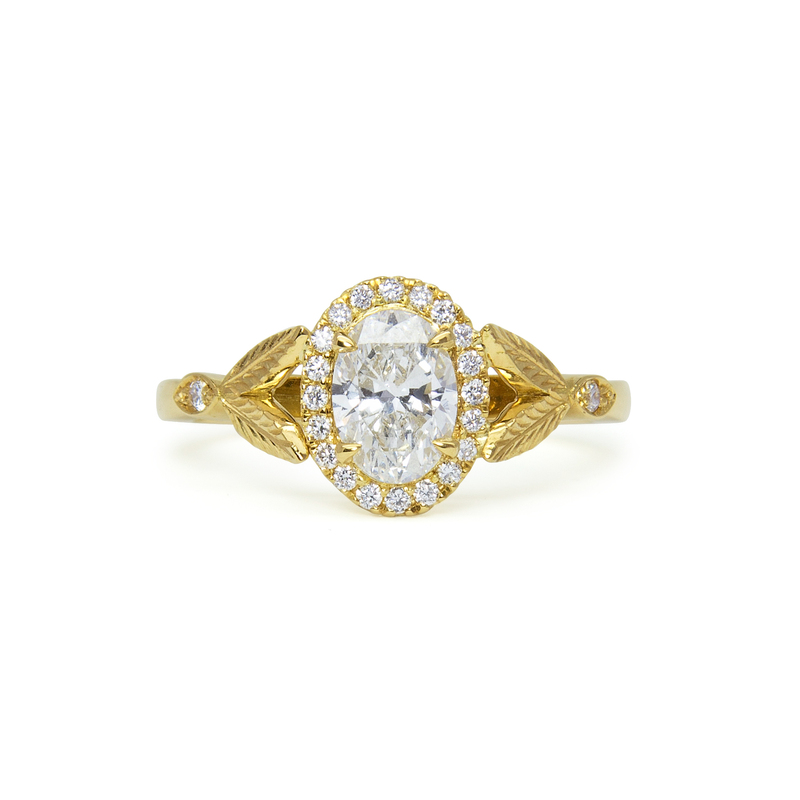 Older diamonds may require a recut and polish but vintage cuts can stand out against contemporary styles. Whether bought from a reputable trader or part of a much-loved but outdated family heirloom, many jewellers offer a redesigning service to create a fresh, bespoke piece that fits their client’s style. If you want to avoid the issues associated with mining completely, man-made diamonds are becoming a viable, more sustainable alternative. Boasting a smaller carbon footprint, they are around 30% cheaper and visibly identical (without using specialist equipment) to their natural counterparts. Cultivated in conditions simulating the geological process, they share the same chemical and optical properties and are considered real diamonds unlike imitations. Of course, being mere weeks old, synthetics don’t have the same romantic heritage and many argue demand for them is taking work from impoverished miners operating in fair conditions. As a jeweller with a passion for traditional craftsmanship and ethical campaigner I tend to choose the first 2 options instead. Historically, De Beers has been the main miner of diamonds in the world. Currently, the company is leading industry efforts to improve transparency and ethics but currently no De Beers diamond is fully traceable. The company is leading industry efforts to improve transparency and ethics but only diamonds under its Forevermark brand are currently sourced responsibly. De Beers sells 90% of its unmarked rough diamonds (which are all mixed at the sorting facility in Botswana) to authorised Sightholders. These customers range from diamond cutters to global manufacturers and they’ll usually source diamonds from other mining companies too. While De Beers enforces a strict code of conduct for itself and its Sightholders, it’s impossible to guarantee a Sightholder won’t mix diamonds. Therefore, an ethical jeweller should only work with suppliers they trust and who respect provenance. Unfortunately this international certification scheme, launched in 2003 to stem the flow of blood diamonds, is not only flawed but can be misleading. The trading system amongst its 81 member countries is susceptible to smuggling and the term ‘conflict diamond’ merely covers gems used to fund rebel groups. As such, KP-certified diamonds may still be associated with violence and human rights abuses by government armies, worker exploitation and environmental degradation. From 2018, the process is undergoing a two-year systemic review but, until reform is implemented, jewellers cannot rely on the Kimberley Process alone to guarantee a diamond is conflict-free and ethical. Did you know diamond engagement rings have only become a tradition in the last 70 years thanks to De Beers’ powerful marketing slogan ‘A Diamond is Forever’? In fact coloured gemstones are becoming increasingly fashionable again with millennials seeking bolder, unique and more personal styles. This revival happens to coincide with a rise in ethical and traceable options too. If you’re seeking something a little more individual, our magnificent sapphires and rubies are mined under fair trade principles and can be traced right back to the source. See our gemstones engagement rings here. You can read all about Arabel Lebrusan’s ethics on our website, and we’ll be happy to answer any questions you might have. Ultimately, your dream engagement ring must come down to personal principles and taste for full peace of mind.